BMW AG will get its next-generation entry-level infotainment system from Italy's Magneti Marelli S.p.A. and U.S.-based Harman International Industries Inc. The system will appear in BMW's new vehicle platforms, the suppliers said in a joint statement without providing more details. 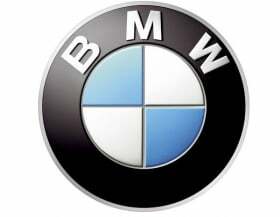 Industry sources say the technology will begin to appear on BMW and Mini models starting in 2013. BMW said that is when it will debut its new front-wheel and four-wheel-drive architecture starting with the third-generation Mini hatchback. The new multimedia-driven system will blend an open platform from Magneti Marelli with Harman's connectivity and mobile office expertise to offer features such as navigation, Internet access and wired or wireless connectivity. Many of the features are not currently available in entry-level systems, the companies said. Marelli will produce and deliver the infotainment modules for BMW vehicles delivered in Europe while Harman will serve the Asian markets. "This project sets up a new era, with the adoption of the open platform for infotainment solutions, which is an effective answer to the evolution of the market's, carmakers' and customers' needs and to the challenges of future mobility," Marelli CEO Eugenio Razelli said in the statement. Marelli ranks No. 24 on the Automotive News Europe list of the top 100 global suppliers, with sales to automakers of $5,9 billion in 2009. Barman is No. 62 on the ANE list with sales of $2.0 billion.